I'm not going to try and convince you one way or other it's your choice hence why we have been relatively quiet about the subject but have always been open to offering advice to those of our customers who have asked for it. Some people are perfectly happy with Windows 7 or 8.1 and have no desires to change which is just fine. 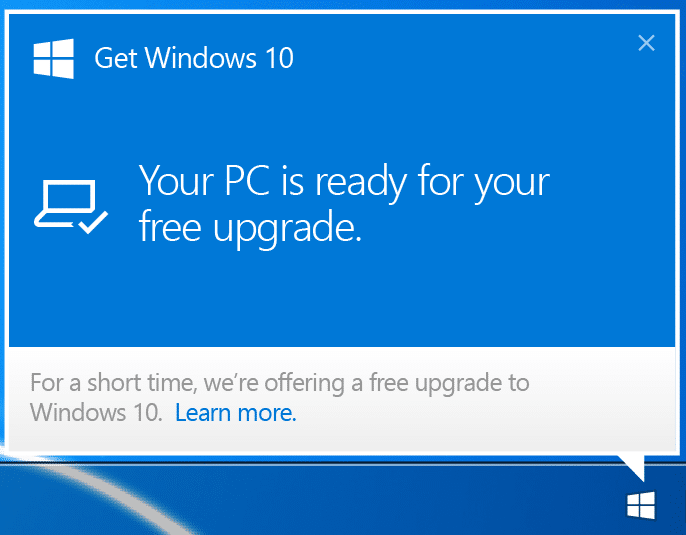 My personal view is that Windows 10 is superb and a worthy upgrade from 7, it's faster feeling, more resource efficient to the point where it makes an older computer feel like new (as long as its components are Win 10 compatible) plus its ready for the future after all, developers will be dropping Windows 7 support more and more from now on. 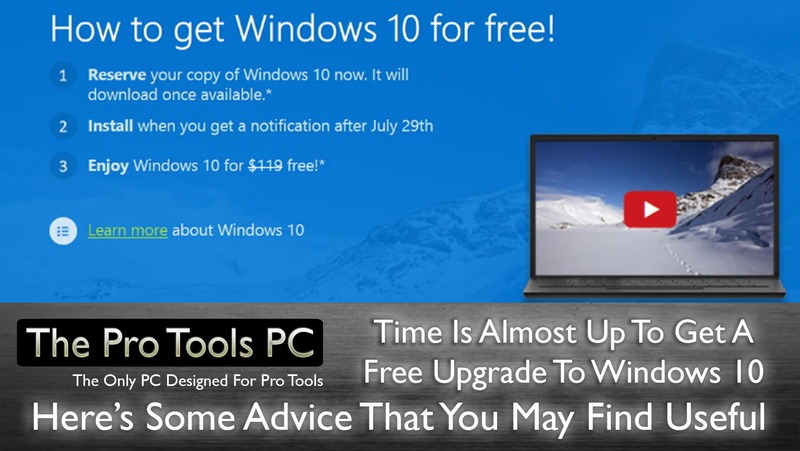 Most notable of all its totally free to current owners of Windows 7 upwards, after July 29th it will cost around $120 a pop. Of course, there have been plenty of horror stories citing failed upgrades that have scared many people off from going anywhere near trying it again (or at all) but look at it from a practical point of view, do you let every slight blip in owning a computer put you off ever updating or changing anything ever again? .....Really? If you do things correctly by first creating a safety backup and following instructions to the letter, don't try and rush things there are very few situations that cannot be resolved very quickly and easily. So here some tips for getting your system up to date and running on Windows 10 while it's still free to current owners of Windows 7 and 8. "Look before you leap" as the saying goes, before you think about upgrading go do some research, Does the manufacturer of your Audio/MIDI Interface, Controller keyboard or surface etc... support and provide drivers for Windows 10? If the answer is no, do a little more research on forums and user groups, ask questions of other users to whether anyone has the same devices(s) as you working on Windows 10 using the previous Windows 7 or 8.1 drivers provided by the manufacturer its quite suprising and comforting to find the high number of older gear that "just Works" on Windows 10 without any need for updated drivers but be safe and do the research first to avoid disappointment. Yes you'd be surprised how many people attempt an upgrade without creating a safe backup to restore to if it all goes wrong. This is you get out of jail free card, So prepare and be comfortable in the knowledge that whatever happens you can always get back to your safe place before you started the upgrade. 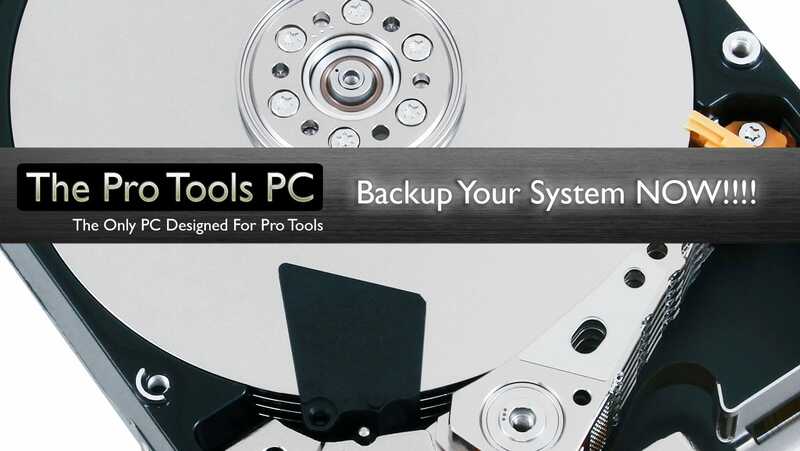 If you don't know how to back up or restore your system check out our free guide below (click the image to take you there) and before you do anything else make that backup! For your backup to go as smooth as possible you want to make things as easy for yourself as possible. So think about it from the point of view of minimising the number of things the upgrade has to contend with. Unplug any items from your system that are not 100% necessary to be connected at the time of the upgrade, That means all externally plugged devices, portable USB/FireWire/Thunderbolt drives, Audio or MIDI Interfaces, control surfaces USB memory sticks absolutely anything besides your screen keyboard and mouse. It's even advisable to do this before creating your backup as it means the backup process has less to content with too. 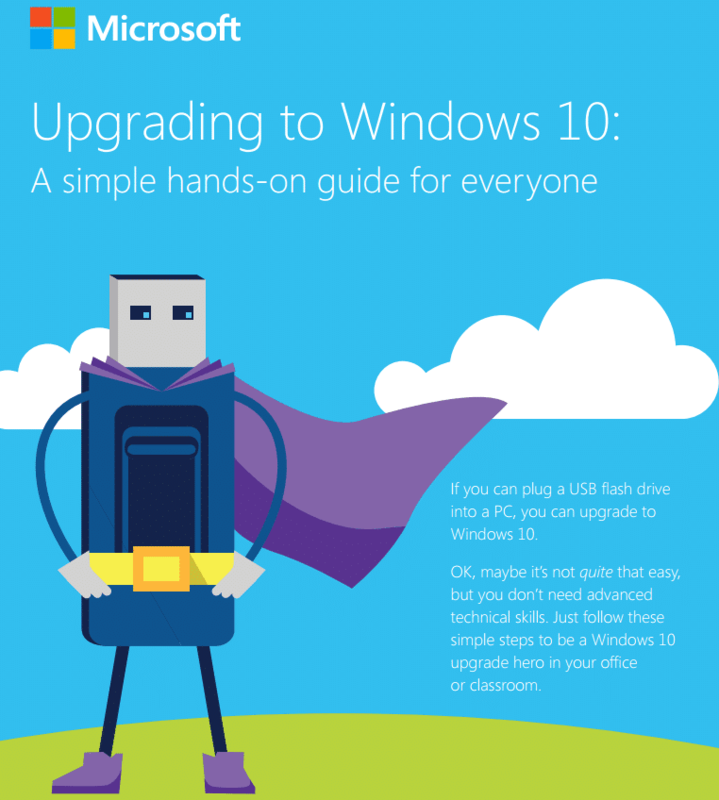 I'm not going to take you through the upgrade process step by step because Microsoft have created a free guide for that, Download it by clicking the image and read every word and take time understand it before you even attempt to begin the upgrade process. Stick With An Upgrade Or Do A Fresh Install ? The jury is out on this one and again many people have had different experiences so what works for some might not be best for you and vice versa. We have experienced flawless results in both sticking with the upgraded install and also doing fresh from scratch so I'd say go with an upgrade first to see if you even like Windows 10 and whether it works well on your machine, if "all hell breaks loose" and you just can't complete the upgrade process for whatever reason then go with a fresh build. There really are no rules but in general, a fresh build will have less in the way of left over files and Gremlins floating around from your previous build to potentially get in the way of a smooth running machine. If you want to do a fresh install from scratch you'll need to get yourself the Windows 10 installation media. Microsoft have made this available along with a guide to creating the media and how to get up and running here. It's mentioned in the Microsoft guide but I'd like to reiterate, before going any further run windows update over and over until there are no more updates available. Hit the start key on your Windows Keyboard or the Windows task bar start button and click settings, then click "Updates & Security" and on the "Windows Update" tab click "Check For Updates" be patient and let it search for updates. Once its finished and found some install these updates and reboot. Ok so that's the painful part out of the way - Now for the peripherals. 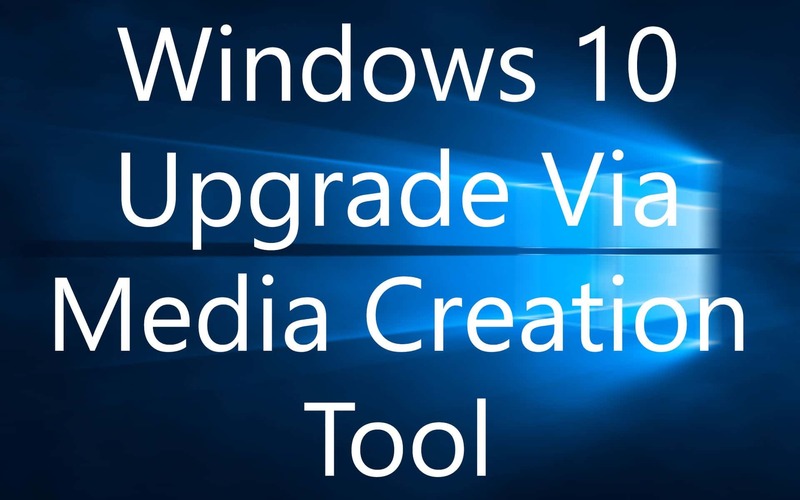 Once you are up and running with Windows 10 and you've run all the Windows updates available you can begin to work on those external devices we unplugged before the upgrade. Be strict and methodical about this too DONT RUSH IT ! Do not plug all the devices in at once you'll just make thing difficult for yourself. Plug ONE of your devices in and check if it's working, if you take a look at device manager and see if it's missing a driver. Before doing anything else try rebooting the machine with the device plugged in it may suddenly start working. If you still have no joy go and is still showing an error in device manager go get the latest drivers available and install them. hopefully, that will sort it out and you can move on to the next item, If not go back to those user forums and seek help from fellow users with the same devices, or If you are a Pro Tools PC Customer Contact Us for advice and support. Go through each of your devices one by one and when you feel you are ready test them out in a real session to see how things are performing. Remember at any time you get into difficulty you have your backup to go back to. When you are done you have 30 days. Once you have completed you upgrade/install you have 30 days to decide if you want to keep it, so get testing and make sure you have covered all bases, if you want to go back to your previous version do so withing the 30 days using your backup and you can carry on just as before, if you do not go back after 30 days is up your Windows 7 Product key will be converted to a Windows 10 only key and apparently will not work for a fresh install of the previous version after that point but we are not there yet so this remains to be seen. I think that's just about covered it, I'm sure there will be plenty of people chiming in with their experiences and advice with an equal amount of fearmongering, rest assured its nothing new we had exactly the same situation when everyone was comfortable on Windows XP and the urge to move to Windows 7 was sweeping across the world the only difference ow is that you have the opportunity to get the upgrade free of charge so the pressure is on slightly more. Take a deep breath, dont rush things and allocate yourself a few days to take things slowly and I'm sure it'll all be fine - Good Luck ! Posted in Discussion, Education, Free Support, System Maintenance, Tech Support, Technical Article, Tutorials, updates and tagged Operating System, support, Upgrade, Windows, Windows 10, Windows 7, Windows 8.1.